Conversion rate is a very important metric you need to be analyzing and aiming to improve when building and marketing yourself, content and services through your blog. It is a measure of how effective your content is in getting readers to interact with you and your services, or whatever else it is that you want them to do. Whether it’s a share, email subscribe, purchase or comments. 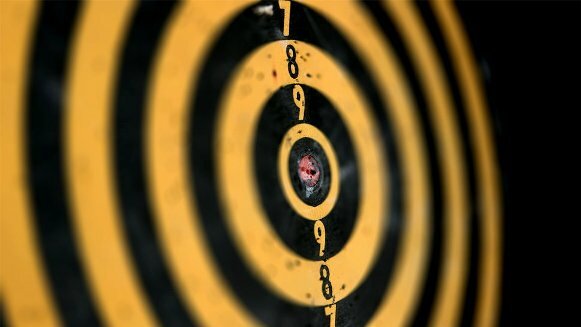 The targets are all up to you. The metric is calculated by dividing the total number of conversions by the number of visitors to your site or specific page. Your entire blog’s purpose, reason for being and level of success can be summed up in this single metric. Bearing in mind that your targets and goals are entirely up to you. Another site’s key performance indicators may not be yours. Only you can measure your success. So what is it that you’re trying to accomplish through your WordPress blog and how are you going to do it as efficiently and beautifully as possible? The conversion rate optimization (CRO) industry has grown rapidly and you’ll easily find many companies offering CRO at very premium rates for powerful solutions. Targeted for big business. However, not to worry, since in the true open source, empowering spirit of WordPress, there are a few plugins and services that are free and places the benefits of CRO within reach without a large budget. As part of Mashable’s Metrics That Matter series, they published a nice brief introduction of assessing conversion rate and how to approach it. A great starting point if you’re new to this. Here are some useful free WordPress plugins and ideas for improving your blog’s conversion rate leading you to accomplish more with your limited time. The Hello Bar is a free optimization tool created by Crazy Egg to show the right messages at the right time to your site’s visitors, along with the option of a simple call to action button. The bar, once installed via the free WordPress plugin, floats in a fixed position at the top of the user’s browser window. The positioning of the bar is perfect for gaining reader’s attention and invoking a click through. The Hello Bar is completely customizable to match your site’s theme and objectives. Whether you’re trying to attract users to particular pages, collect email addresses or increase social network following. 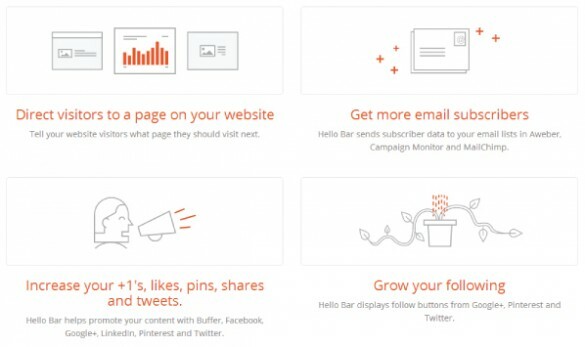 Give the Hello Bar a try here and begin formulating a strategy for getting more out of your blog’s visitors. Formidable is free and simple drag and drop plugin used to create custom, interactive forms for collecting user information. The plugin gives long-standing form builder plugins like Gravity Forms a run for their money by offering a powerful free option and premium versions at more affordable rates. The great benefit of a powerful form plugin is that it allows you to to invoke and capture feedback. The forms can be easily placed anywhere on the site. Driving conversions. Give Formidable a try here. There are tons of powerful analytics tools on the web for tracking and learning about visitor behavior. Launching winning campaigns rely heavily on understanding what readers respond to and targeting them accordingly. Here are a couple free WordPress optimization tools to help you maximize onsite conversions. Clickmap is a real-time heatmap tool to track mouse clicks and scroll paths of your blog’s visitors. A useful tool for determining what users are clicking on, how far they’re scrolling on your pages and viewing frequently used sections of the site. Clickmap’s free option allows you to download the WordPress plugin and track up to 1,000 clicks and generate one report per month. Enough data to give bloggers a starting idea of what’s working and what’s not. Create an account at Clickmap and download the WordPress plugin here. Convert Experiments is an A/B testing tool for WordPress developed to help you test changes to your web pages against the current design to determine which ones produce the best results. A powerful method for validating design and element changes for improving conversion rates. With a free account from Convert.com you’ll be able to test against 5,000 visitors to your site per month. See the tool in action and view a demo here. If you’re ignoring conversion rates on your blog whether it’s a simple hobby, internet marketing or company blog, chances are you’re missing some valid data about your audience. As well as missing out on opportunities for getting the most out of your audience. Go ahead and get started.